Flicker mate, both flashing their differing colors. ...under the trees, cavorting with Red and Yellow-shafted Flickers and producing hybrids just to make it even harder for us birders to tell all the Flickers apart! 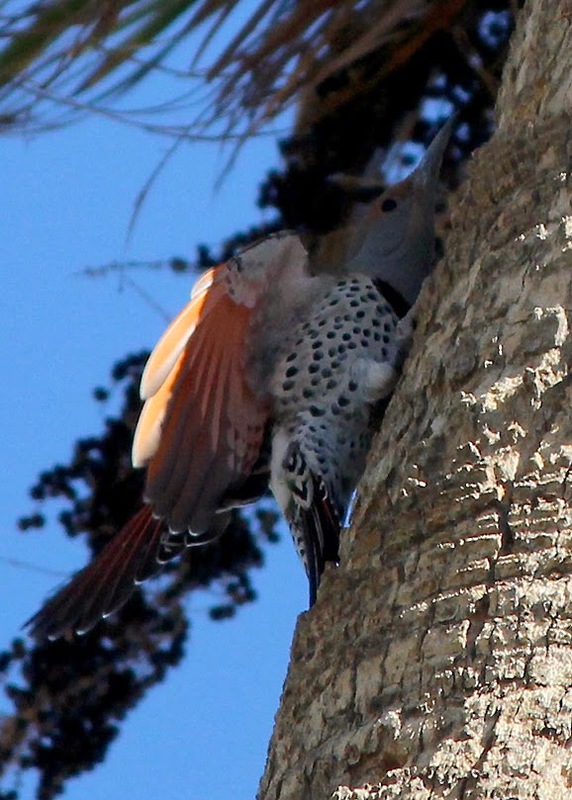 Gordon - "Last winter I discovered a 'Red-shafted' Northern Flicker in South Mountain park that was hanging around with a Gilded Flicker and it pretty much spent the winter there. But have not seen it since, but there are several Gilded Flickers still in that same location. I was kind of watching for some hybridization, but did not find any." Pete - "Could be a mated pair anyway, Peggy. 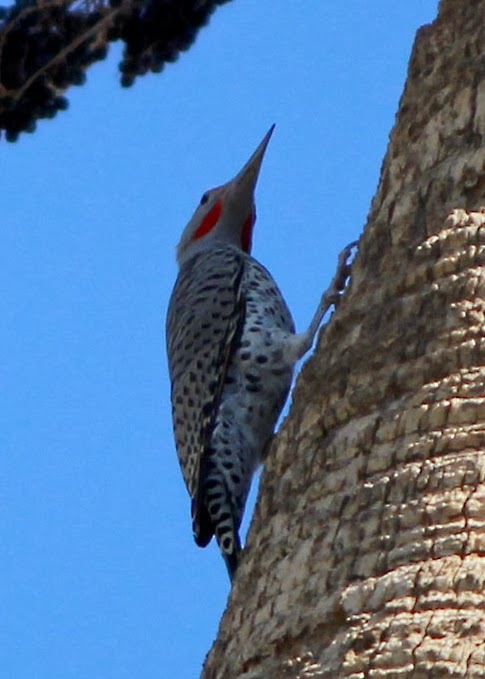 Once upon a time (in 1973) the AOU merged the Yellow-shafted, Red-shafted, and Gilded Flickers into a single species, based on evidence of widespread interbreeding. I can vouch for the degree of interbreeding between Red and Yellow-shafteds in Colorado, and Gordon could say the same for Nebraska; but the AOU separated the Gilded back out some years ago, partly because the amount of interbreeding with Red-shafteds was less than supposed." 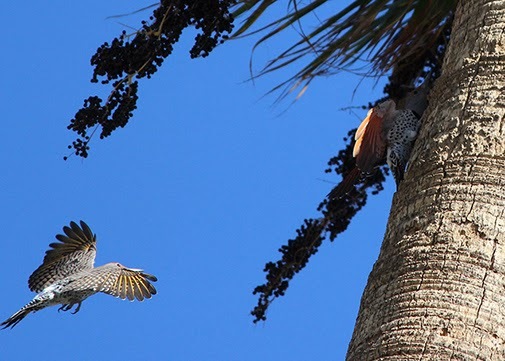 My photos were taken in November, not exactly breeding time for Gilded or Northern Flickers. So it will be interesting to see in the coming months if these two are still at Papago Park and actually mate and produce hybrids. Thank you Gordon Karre and Pete Moulton for your input :-). Brilliant photos Peggy, and great ornithological work! Thank you Laurence! I left most of the ornithological pondering to Gordon and Pete.